Sought After Gated Community in Van Ruiten Ranch! Located on Almost 1 Acre Lot, With Over 3600 sqft. Spacious Single Story Open Floor Plan w/4 Large Bedrooms, Office/Den, & 2.5 Baths, Big Living-room, Dining Room, Separate Family-room w/Cozy Fireplace. Open Concept Gourmet Kitchen, Stainless Steel Double Oven, Gas Cook Top & Breakfast Nook. High Ceilings, Recess lights, Plantation Shutters Thur-out. Big Master-bedroom Suite with Sitting area & Exterior Door, Lg Master Bath with Double Sinks, Tub, Dual Side Walk-in Shower Stall with Ice Block Glass. Cover Patio, Built in BBQ, Palm Trees, Park Like Setting, Lots of Fruit Trees, RV Access, 4 Car Garages. Room for Casita or Pool & So Much More! Great Home for Growing Families. 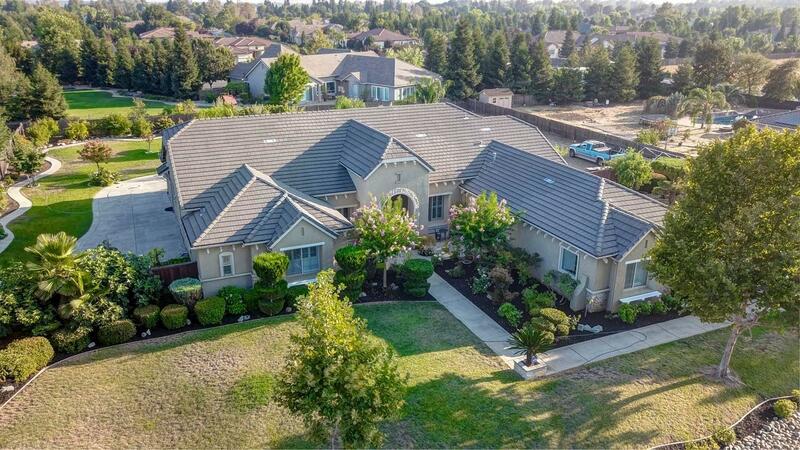 Well Established Neighborhood in Elk Grove.